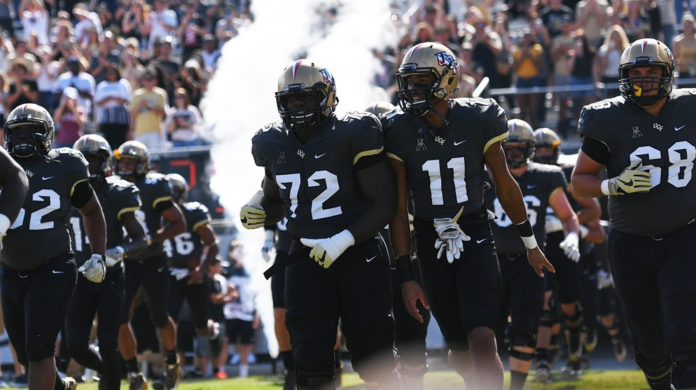 ORLANDO, Fla. – For the second consecutive season, UCF is staring down the barrel at the potential of losing their allotted bye week in a wicked act of unfortunate circumstance. 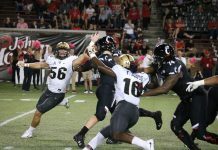 In 2016 the Knights played a makeup game against Tulane in the tenth week of the college football season after a last-minute scratch in the shadow of Hurricane Matthew; in 2017 the program is in aggressive pursuit of adding a make-up game resulting from Hurricane Irma’s far-reaching influence. 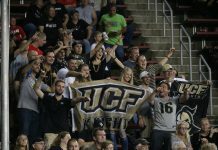 The idea that UCF could replace that bye week does seem to be more and more of a concrete eventuality than a marginal pipe dream, but as fans in Orlando know all too well, nothing is certain until your opponent takes the field. With the hope slowly emerging for another game gaining ground as an eventuality, the program has begun to mentally steel themselves for the challenge ahead. Challenging or not, there isn’t a player or coach on the team who would tell you that they would rather turn in for an extra week of rest than fit an opponent, any opponent, into the mix. The benefits of getting in the game are huge for every square inch of the program, even beyond the hashmarks. Playing an eleventh game that week brings back suspended players Nevelle Clarke and Tristan Payton back a week earlier. It appeases season ticket holders to some extent for the loss of the Georgia Tech game. An eleventh game also provides an outstanding opportunity to further another run at bowl-game eligibility. “We’ll have to get out on a Thursday afternoon or a Friday night and go see some games,” said Offensive Coordinator Troy Walters on making up the time. “So, we’ll make adjustments and keep rolling, but first and foremost, we’ve got to win games,” he continued. 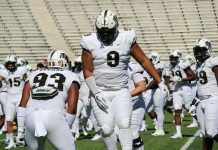 Defensive Coordinator Erik Chinander had similar comments about the situation, and added on that the proximity of UCF’s heavy in-state recruiting focus is a huge boost for situations like this. “Obviously we couldn’t go out during the hurricane, all the schools were closed so you’re going to lose a week on the road for recruiting, but fortunately being in the state of Florida, most of the players that we want come from the state of Florida, so we can get a lot of them here to a lot of our games,” Chinander explained. Nothing is a better teacher than experience, and for the Knights, Hurricane Matthew’s stopover during the First Frost is keeping anyone from hitting the panic button. For now, we can only wait for official word on the status of UCF’s scheduled bye week, making for what could be a very important lazy Saturday in October.